The Hugo Boss Ladies' Celebration Watch 1502477 is available from Hillier Jewellers. Fitted with a blue strap and elegant stone set case. 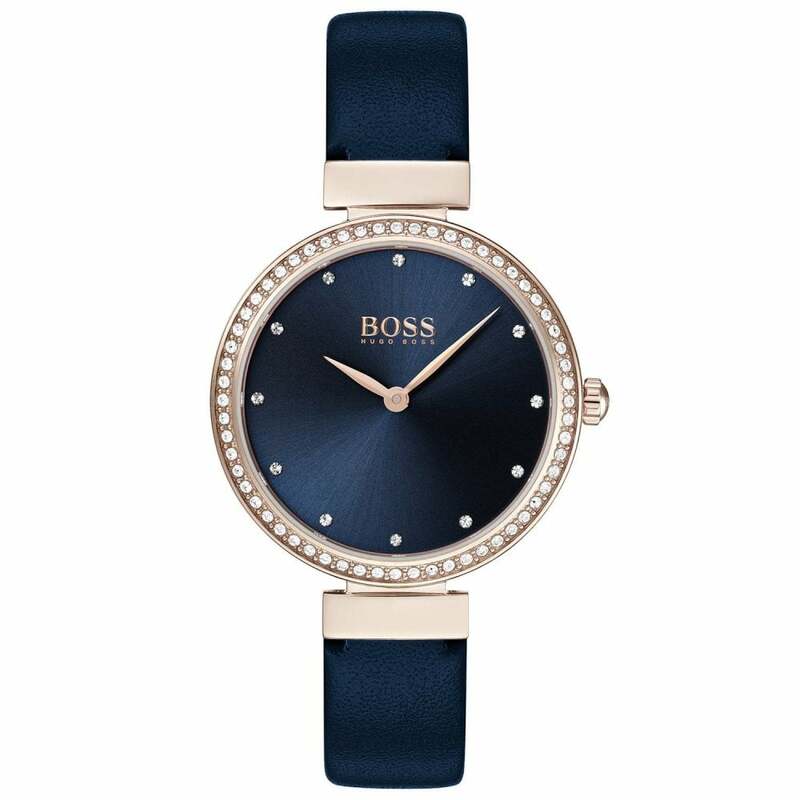 The rose gold plated Hugo Boss Watch 1502477 is supplied with a Hugo Boss Gift Box.